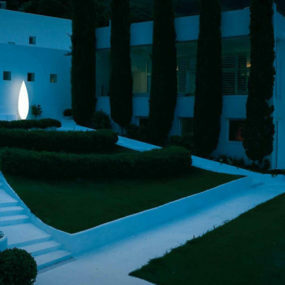 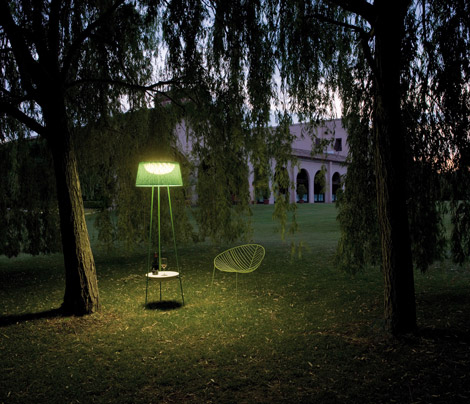 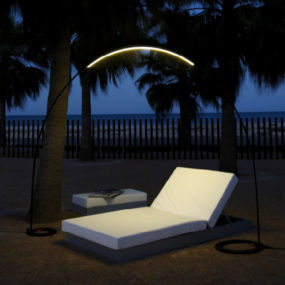 Make your yard the envy of the block with these modern outdoor lamps by Vibia. 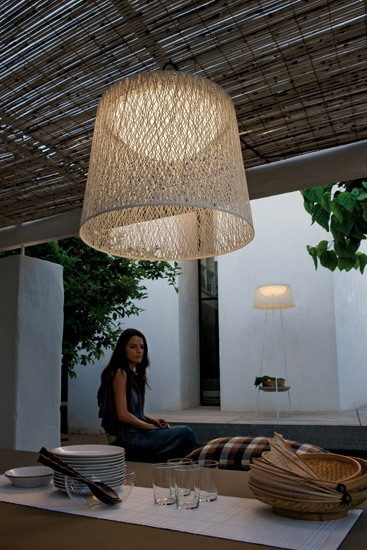 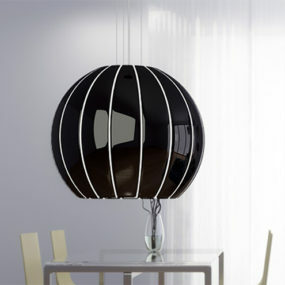 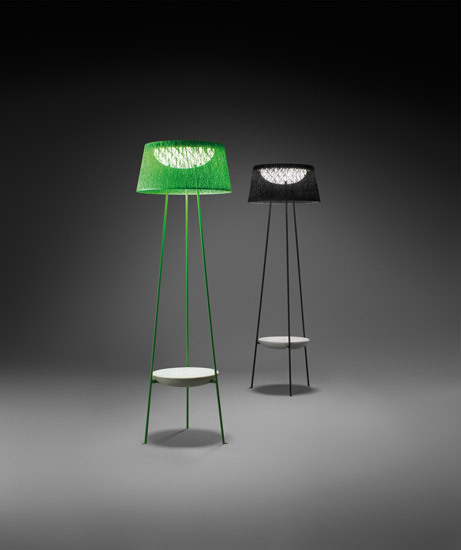 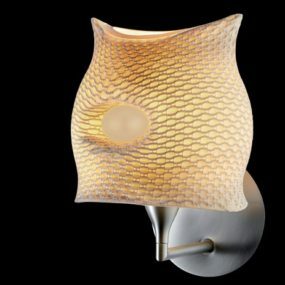 The Wind lamp line features light and airy shades, woven to diffuse the light without blocking it out. 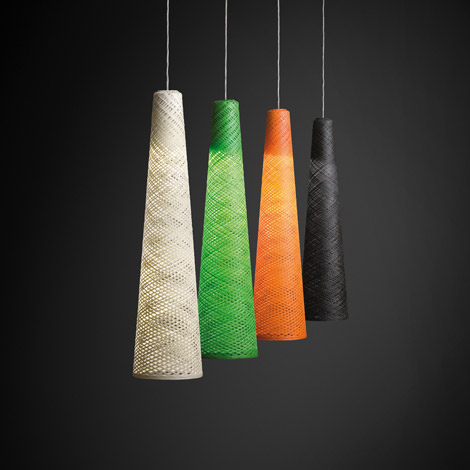 Floor- and pendant-lamp designs boast the same style, but differ in their various take on the conical-shape shades. 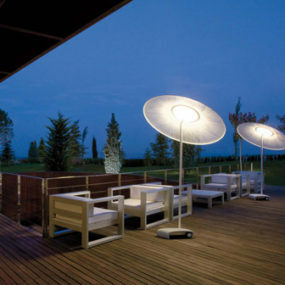 The pendant lamps are long and lean, perfect for an outdoor bar or the barbecue and dining areas, while the floor lamp shades are broader, sitting atop a one- or a three-legged base with a table built in. 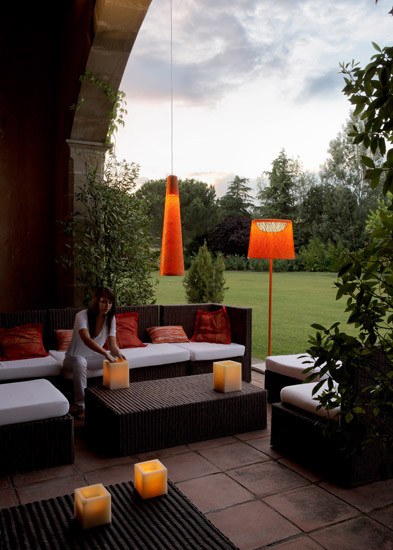 And adding a little fun into the mix – an absolute must for your al fresco soirees – the Wind modern lamps come in a range of funky colors that grab your attention and illuminate the night in shades of orange, green, black and white. 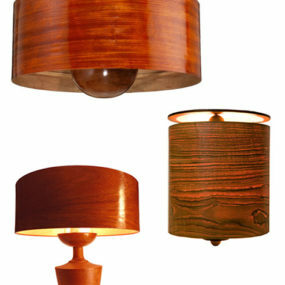 Mix and match, or coordinate all your lighting for a uniform, simple look. 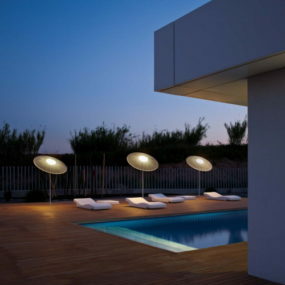 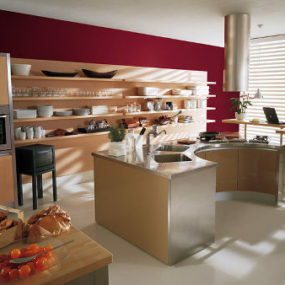 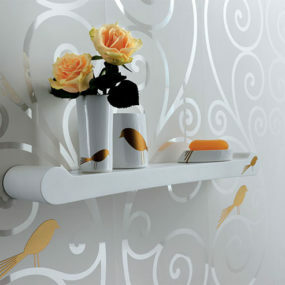 For more information, visit Vibia.